Number six in this series is a guest post by Italian Greta Facile, a pizza- and cheese lover living in Amman since February 2017. Mille Grazie to Greta for her views on life in Jordan as an Italian! 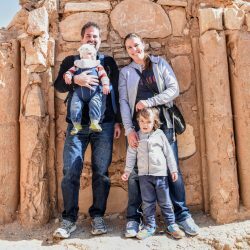 Premise: there are hundreds of things I like about Jordan and Jordanians, they all contribute to making my life here happy and enjoyable. Lots of them have already been listed in the other blog series (food, hospitality, nature, landscapes, views, culture, climate, etc.) and there are lots more that could be described but I will only focus on the 4 things that I love the most. Genuine and sincere love for Kids: Jordanians, and Middle Easterns in general, love kids! You are shopping and your toddler is in the middle of a tantrum? He is screaming, crying, knocking his head on the floor and you don’t know how to stop his drama queen performance? No problem here! In Europe I would feel under pressure, other people would stare at me like if I was a killer or they would make me feel like an inadequate mom, not able to raise a polite and educated child. Here is the contrary! All people around would try something to help you, smile at the kid, offer him a sweet (ARGH…sugar again!) or try to ease up the situation. If they would not intervene, maybe because they are busy doing something else or maybe because they are just really not annoyed, at least they will never look at you like if you are a criminal! They are used to kids, this is a very young society, families are big and with a lot of children everywhere they are used to tantrums and too little naughty monsters. Nobody looks ever annoyed about kids and you feel much more at ease than in any other part of the world! Not talking about all the cuddles, kisses, little gifts, sweets and biscuits that kids receive in general…it is really amazing how Jordanians are tolerant and how much they like kids! I wish I could tell the same about Europe, where we are becoming less and less patient towards children! In Jordan, you can feel at the core of the Middle Eastern complex context. It is impressive how every corner of the country reminds you that you are really at the center of one of the most complex political, social, economic and strategic scenarios in the world! Being passionate about political studies (I studied international relations) Jordan for me is an amazing country! In Amman, I can easily meet and talk with Iraqis, Palestinians, Circassians, Armenians, Syrians, Egyptians, Lebanese… I could spend hours and hours listening to their stories about family, homeland, culture, traditions and sometimes unfortunately also about war, out rush and poverty. Most of them are perfectly integrated into Jordanian society, some of them still struggle to find their way. Some of them want to go back home. Some of them have their families and houses here and now consider Amman as their home. We need to remember that Jordan is probably the only very safe place in the middle of a very unstable Region. I just feel lucky to be here, being safe and living happily with my family, and at the same time having the possibility of enjoying different experiences and learning so many things about the history and culture of this enchanting region. Media give a complete distorted image of this place! Now I know! Intrareligious dialogue: nowhere like in Jordan you can experience that pacific coexistence is possible. Everywhere in Amman, there are Christians orthodox churches close to Mosques, close to Catholic churches, … They coexist since centuries, their communities live close to each other, most of the times in peace and without any problem and during hard times they can also pray together. Here it is normal for a Muslim family to send their children to Christian schools and vice versa. No segregation is needed! As a Christian, I receive the Christmas and Easter greetings from my Muslims friends and I am invited to spend Iftar time (during Ramadan) with their families. It just comes so naturally. This is also confirmed by the Hashemite custodianship of the holy sites that refers to Jordan’s royal family role in tending Muslim and Christian holy sites in the city of Jerusalem. We can learn a lot! Jordanians are very very patient when you are learning Arabic! I am trying to learn Levantine dialect for one year but still struggling to put together even simple sentences. But my colleagues, friends and even people that don’t know me are extremely tolerant and patient when I am trying to communicate with them in Arabic. This is very encouraging and helps a lot to start conversations. My sensation is that they really appreciate your effort and they enjoy teaching you new words and explaining dialectal expressions, proverbs, and songs. Even if I have to say that most of the Jordanians living in Amman speak English incredibly well! Language is hardly a barrier, everywhere in shops, bars, restaurants, but also pharmacies, hospitals, travel agencies Jordanians speak English and even if they don’t speak English in a proficient way, they will for sure call a neighbor or a friend to help to understand and to translate what you need. As an Italian, if I compare the level of knowledge of English with one of the people in my town, or even with one of the people living in touristic cities, I feel embarrassed. Good job Jordanians! Even because Arabic is sooooo difficult to learn for us westerners, thank you for being patient! Other things I really love about Jordanians is their passion for barbecues and picnics and their parties! Jordanians really know how to have fun and enjoy parties with music, drums, and fantastic dances! Environmental issues: The landscapes are extremely beautiful but they are frequently spoiled by littering. This is very sad! Jordanians love to barbecue and to picnic and this is amazing. But please don’t spoil this amazing land! Don’t let children play in playgrounds spoiled by waste, butts and animal dejections. And it is not necessary to wash cars every day, water is so precious, especially here. General lack of safety measures: everywhere you can spot potentially dangerous situations from crazy car driving, smoking in front of children, to people cleaning the streets in the middle of the traffic without any protection. But the two things that I am mostly afraid of is children in the cars and people working in the construction sector. I almost get a heart attack when I see children with their heads out of the car windows, or sitting on the legs of the driver or worst standing on the car seats with their heads out of the sunroof! And I am also very afraid when I see workers on the scaffolding without any protection. Please stop this or I will need to get some anxiety pills! And Jordanian parties, graduations, and weddings will be fabulous and amazing even if you don’t shoot in the air with guns and other automatic weapons! My neighbor had her toddler son hit in his shoulder by a bullet falling down from the sky while he was playing in his garden. He was just slightly wounded and he recovered soon but they were so scared! It is dangerous and it should be forbidden in inhabited areas. Wasta: ok this is not a Jordanian invention, and being Italian I recognize this phenomenon and I know it very well. It is more or less widespread in every country of the world but here what saddens me is the sense of surrender. People just know that if you have Wasta you will be able to reach your objective smoothly if you don’t have it will be harder and it will take more time even if you are doing your best. People suffer from it, they know it is not fair, but it is considered unavoidable. This is sad! Gender issues: this is a very touchy topic which I discuss a lot with my girlfriends here. There are lots of different situations and a lot depends on the family environment. Sometimes it is considered a real taboo! But we all agree on one point: gender issues are transversal, they do not pertain to a specific social, religious and economic context but most of the women had to face at least once a gender-issue-related problem in their life, everywhere in the world. I will not enter in details but I will make some examples that touched me directly. One thing I hate is to deal with men (like in offices and agencies) that do not take me seriously and that would prefer to talk with my husband. It is not that frequent but can be very rude and offensive. Talking with women here I discovered that a common problem is street harassment. I personally never faced real dangers or very scary situations but I also suffered stupid comments and other types of unpleasant situations too, especially concerning young boys. I realized that street harassment, including unwanted whistling, leering, sexist slurs, persistent requests for my name, number or destination after I’ve said no, is pretty common. Again, I never had to face dangerous episodes but it can be very annoying. After it happened I kept thinking if I was dressed inappropriately (but I always pay a lot of attention to this, not to offend the culture that welcomed me so heartily) but talking with my girlfriends I realized that this kind of unpleasant situations is transversal, either you wear appropriately, you are an expat or a local, with or without hijab and no matter where you are. I realized I was starting to change my behavior in consequence of fearing to be addressed, like changing the side of the sidewalk if I spot a group of boys or men, I was starting to answer aggressively and to avoid looking people in their faces when they approached me. Now I just ignore them and I pretend to call the police. It works. In my heart I know that this is not the way to face the problem, it is not up to women to change behavior because they are afraid, but some men should be more educated and take this problem seriously. Anyway, these things do not happen only here of course and I met a lot of wonderful and empowered women and a lot of illuminated men who really care for gender issues improvement and I am sure that they will find their own solutions to fight discrimination and to ease up the lives of women here, by also respecting cultural and religious background. I think that a cultural change is needed (as in lots of other countries, Italy included) and it must come from Jordanian women and men together. To conclude I can say that the things I love about Jordan are much more than the things I don’t like. My life here is happy and I feel welcomed by these generous people! I am learning so much about their culture, their traditions and a lot of other things that media do not communicate about. I second heartily the already mentioned Yanboot organic shop, the mountain breeze resort, the Shams Community, the Select Food Shoppe, the Carakale Brewery, Foron rex Bakery, and the Institut Francais coffee shop and library. One of my favorite places here in Amman, a restaurant with a fantastic view, an easy-going atmosphere, and a wonderful library at ground floor. This woman is a great cheese maker! Here products are fantastic, try her pecorino, brie and set yogurt! I simply love this project and these girls. Made by Iraqi girls” is a fashion atelier with dresses made by Iraqi girls and women who sought refuge in Jordan. Check their works! Their mission is to introduce climbing to the Middle East and create a community of climbers with the passion for this sport in Jordan. It is just great for newcomers but also for experts who want to train indoors. Wonderful location and authentic Italian food. They don’t serve alcohol but you can bring your own bottle if you wish. Very recommended! NB: Before their premises were in Weibdeh but they recently moved close to the third circle. I really love this place. It is a café and restaurant with a wonderful view on the Citadel, it is owned by the Royal Society for the Conservation of Nature and operated by ATICO Fakhreldin Group. Their restaurant is excellent and very child-friendly. 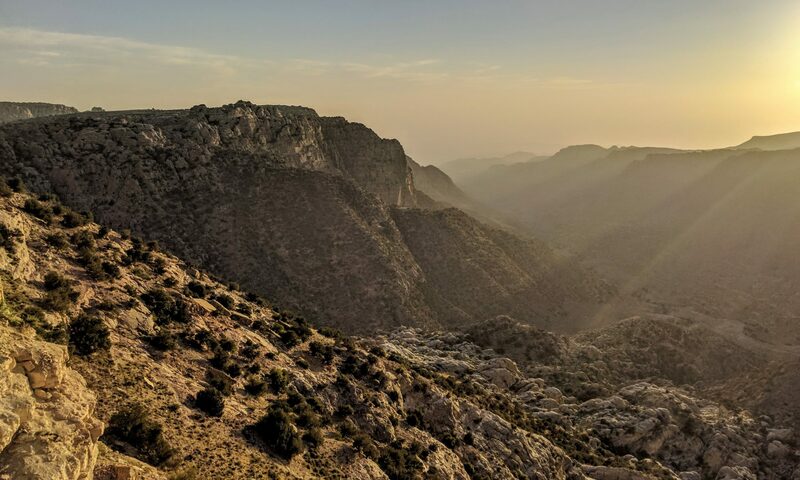 The center aims to generate an income for the rural communities of the 8 reserves in Jordan protected by RSCN and it also promotes ecotourism, whereby custom-made tours accommodate those interested in a very special and unique experience at various reserves. If you liked this article, please also see the other posts in this series. Thanks a lot to Greta!